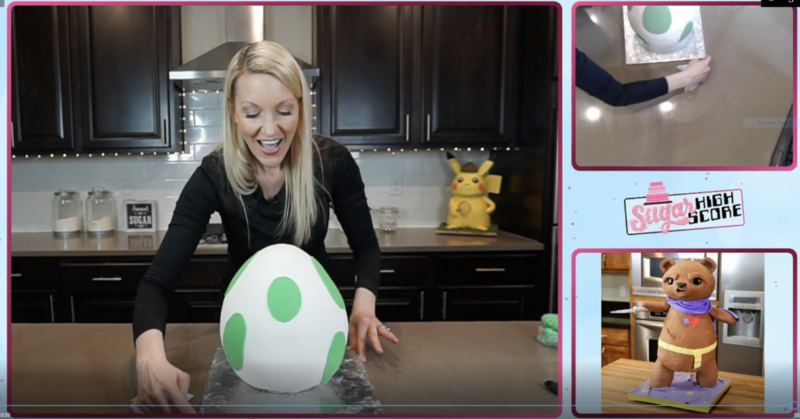 I had the best time live streaming the making of this Yoshi Egg cake. What a fun experience that I hope to do again soon. 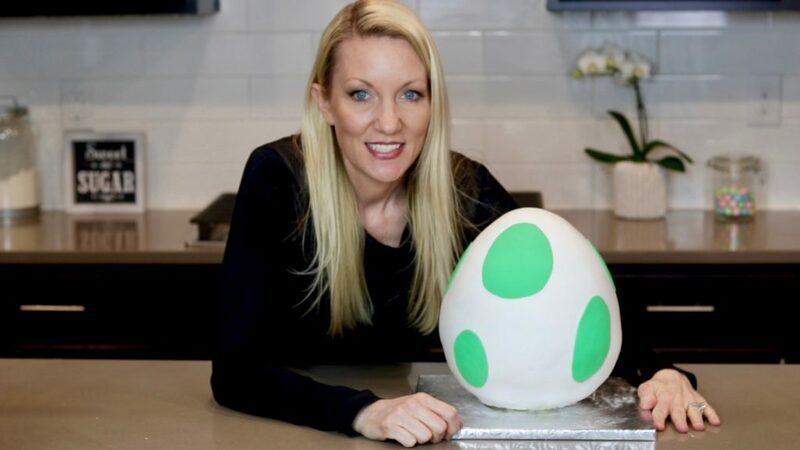 This is a super yummy vanilla cake that's perfect for carving. Preheat the oven to 325 degrees. Line bottom of pans with parchment paper and spray with non stick cooking spray for baking. In a large bowl, sift together the cake flour, all purpose flour and baking powder. Set aside. In a medium bowl, stir together the whole milk and vegetable oil. Set aside. In the bowl of a standing mixer fitted with a paddle attachment, combine the butter and sugar and beat on medium speed until light and fluffy. Add the salt and vanilla. Set the mixer to low speed and gradually add the eggs one at a time until combined. Scraping as needed. Alternately add the flour mixture and milk to the butter mixture in two batches, starting with the flour. Scrape down the bowl between each addition and beat until thoroughly combined. Divide batter evenly between cake pans. Bake for approximately 1 hour or until a toothpick comes out clean. In a stand mixer fitted with the paddle attachment, whip the butter until it is light and fluffy. Scrape down the sides of the bowl. Slowly add the powdered sugar. Add more cream for a thinner consistency, or more powdered sugar for a thicker consistency. 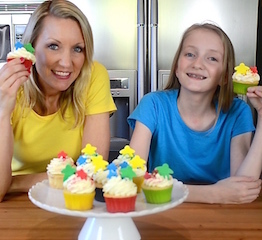 Turn mixer on high speed for 2 minutes to whip the buttercream until it's lighter in color. Hand stir to remove any air bubbles.